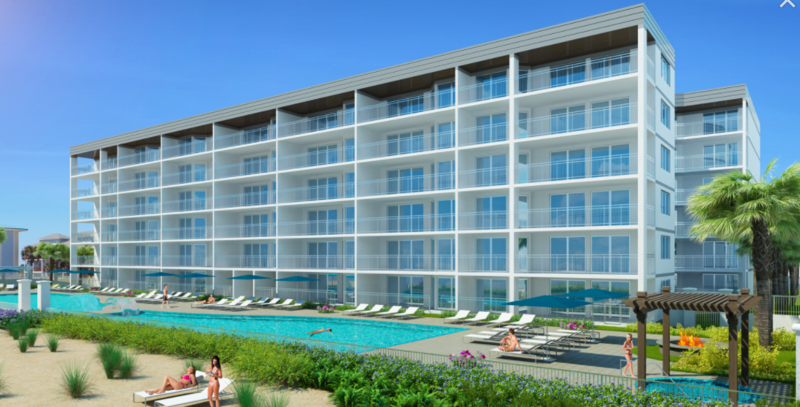 Located ten minutes away from Destin, the scenic community of Okaloosa Island welcomes Blu, the area's newest condo development in 10 years. 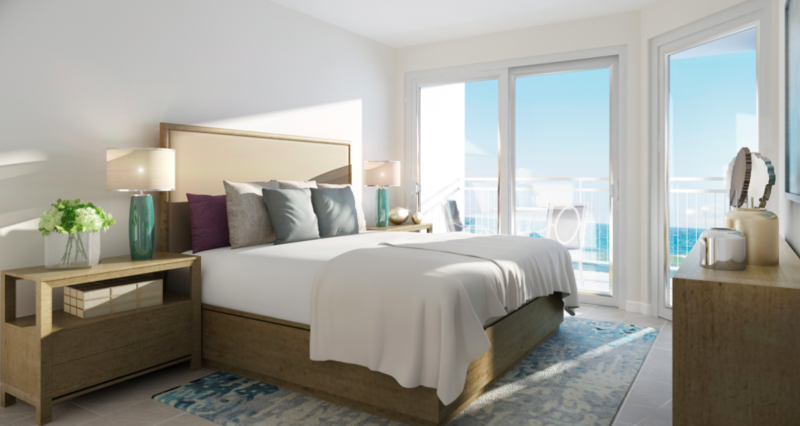 Forty-seven private residences overlook the deep blue waters of the Gulf of Mexico with direct private access to 300 feet of pristine white-sand beach. 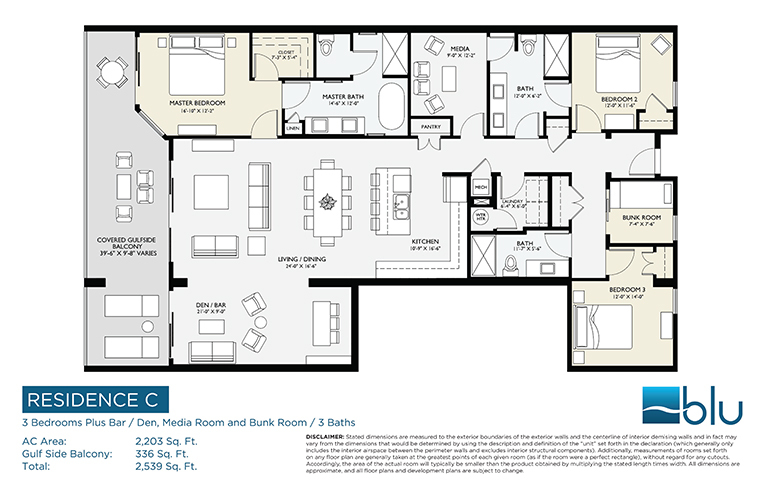 Choose from four different floor plans for these 3-4 bedroom/3 bathroom units, many of which include a beautiful study. 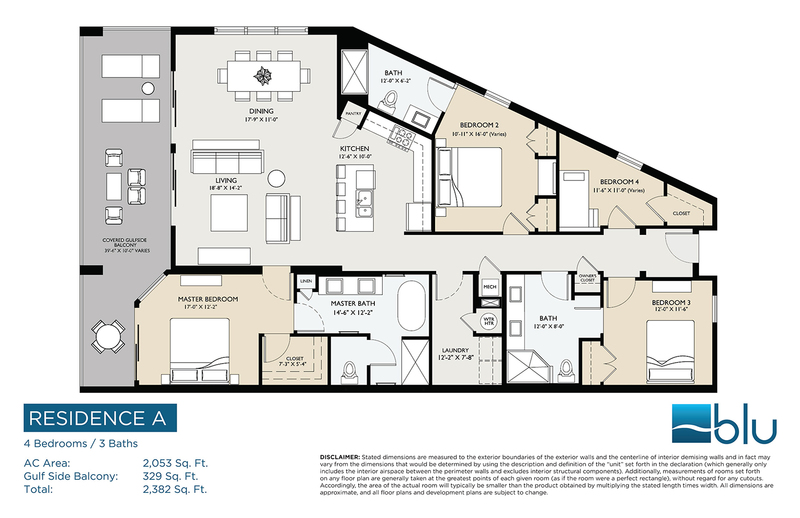 Each unit has a private 10-foot deep terrace, ranging from 29-feet wide to 36-feet wide. Access to the terrace is found in both the master bedroom and the living area. The stunning interior of these units boast 8’9” ceilings; gorgeous quartz countertops in both the kitchen and master bathroom; modern stainless steel kitchen appliances, including a gas range stove and a dishwasher; a separate laundry room with a full-sized washer and dryer; porcelain tile flooring; and a spacious master bathroom with a soaking tub and over-sized frameless shower. There are 41 covered parking spaces, eighteen of which are assigned. Additionally, there are 55 surface parking spaces. 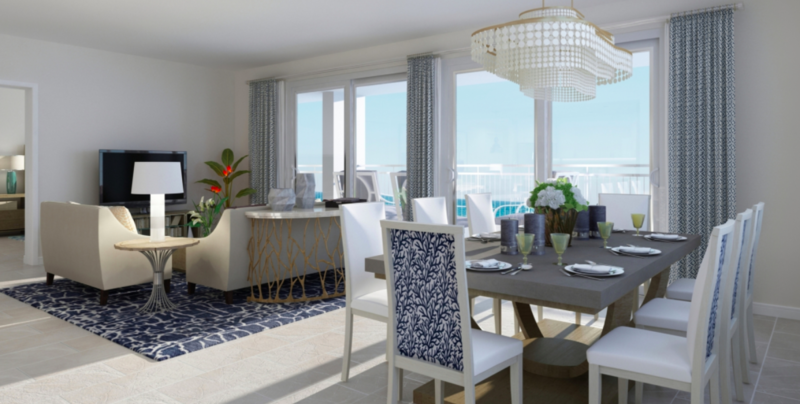 Blu will be a gated community, with private gates at both the entrance from the road and the private beach entrance. Amenities include two Gulf-front swimming pools. One is a zero-entry pool and the other is heated, both are surrounded by a spacious sundeck. 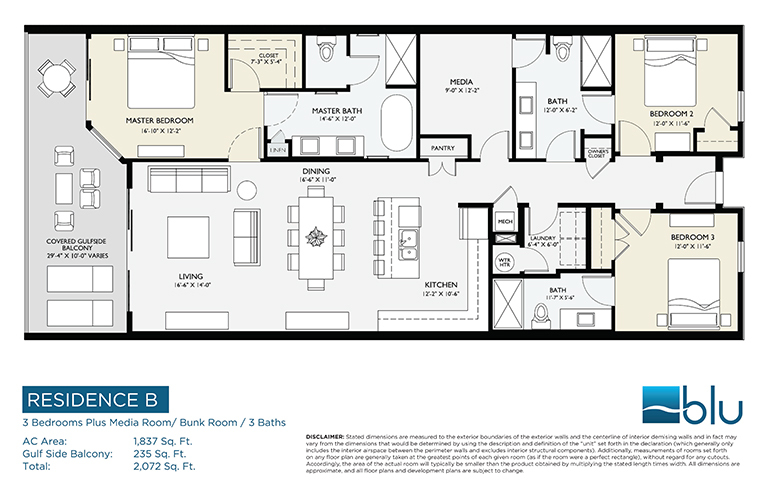 On the sundeck, you will find a jetted spa, a fire pit, and a grilling area. Fort Walton Beach and Okaloosa Island are long-time vacation destinations enjoyed by many generations of families who return to the locale year after year. Okaloosa Island is a barrier island surrounded by three bodies of water: the Gulf of Mexico, Choctawhatchee Bay, and Santa Rosa Sound. The area is known for its family-friendly atmosphere, pristine beaches, and stunning turquoise waters. The island offers plenty of attractions for everyone to enjoy such as water sport rentals, dolphin & fishing excursions, national parks, and delicious restaurants serving up local cuisine. Take a stroll along The Boardwalk, a popular hangout spot stretching alongside the beach entertaining visitors with numerous boutiques, dining establishments, and beach bars. 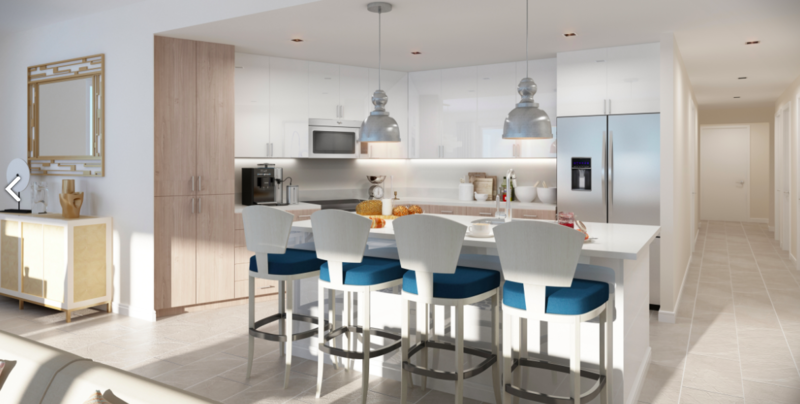 Currently under construction, Blu is now taking reservations for units and half of the residences have already sold. 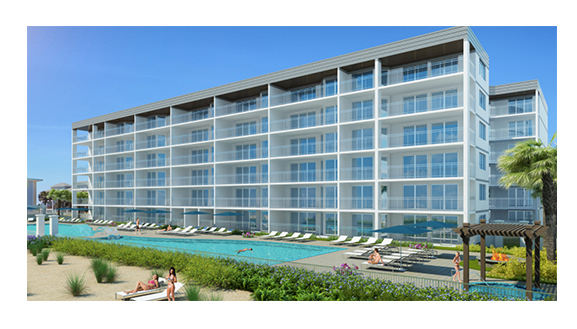 Don't miss out on this amazing opportunity to own a unit at one of the most talked about resorts on Okaloosa Island. 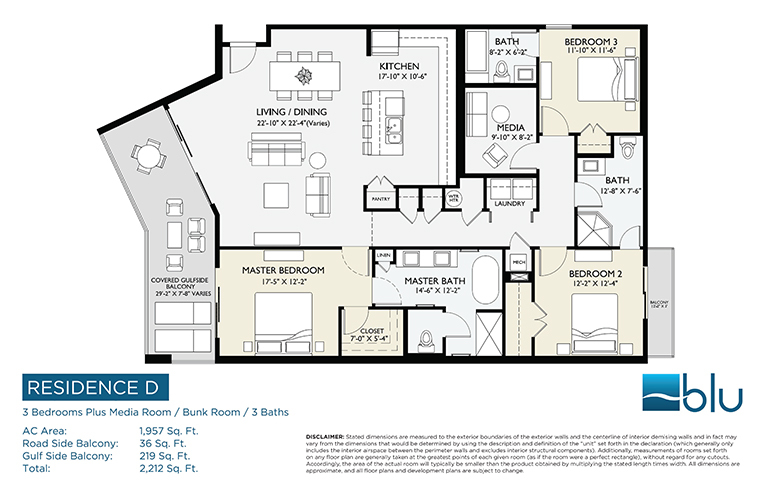 Please let us know if you would like further information for Blu or any other Fort Walton Beach condos and also homes or real estate along the Gulf Coast by emailing info@condoinvestment.com. 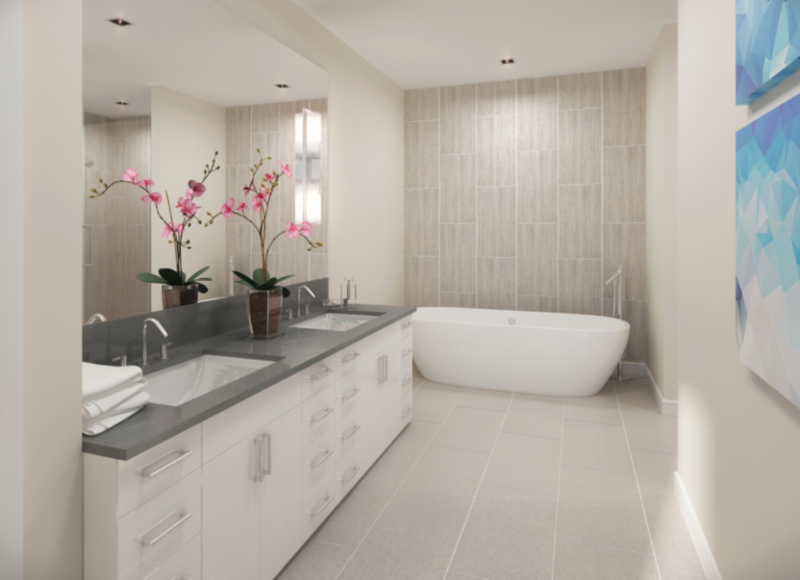 There are many new condo developments arising in the area, visit our pre-construction condos to see a current list of pre-construction projects.